Human Immunodeficiency Virus (HIV or AIDS virus) external appearance of virion. 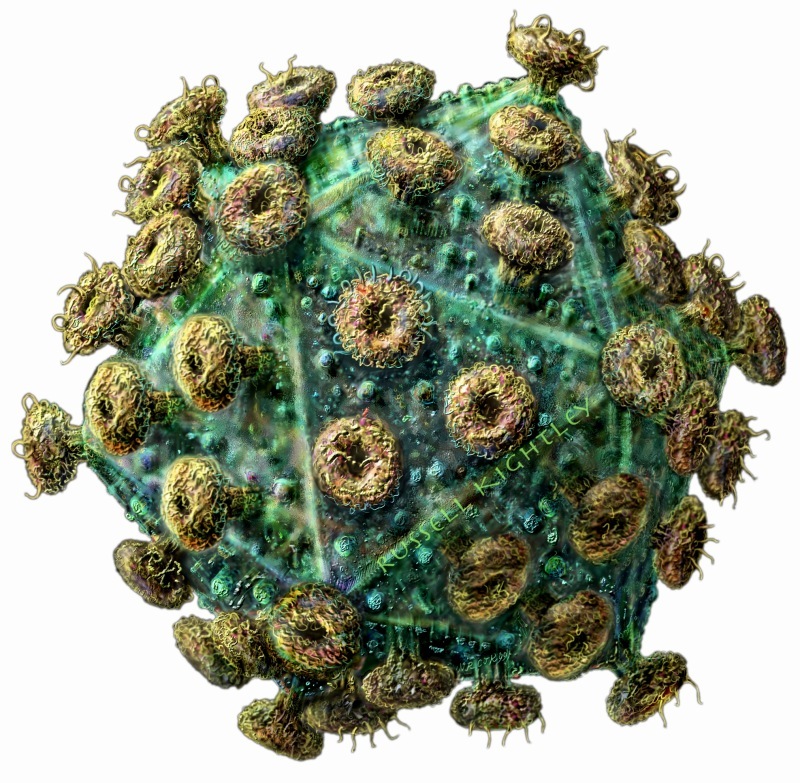 The virus is coated (enveloped) in host cell membrane, which is drawn as a bluish green semi transparent layer in which various membrane proteins can be seen floating. The viral knobs (golden projections at the viral surface) insert into the matrix. These knobs allow the virus to attach to cells. 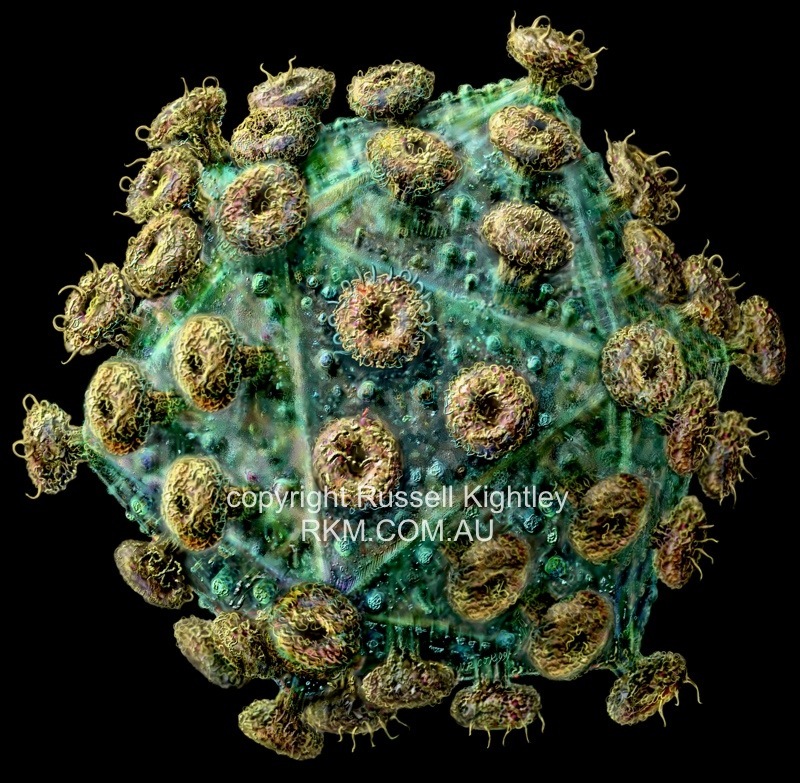 illustration of HIV virus showing skewed (laevo) symmetry (available with a white or black background).